I tried my friend's Senate 69" a couple of times. All I can say is Wow! I free ski (no access to a course), but I'm good at pretending I'm in a course. I went to the Radar site, and they list a handful of different Senate options; I can't tell them apart. What's the difference? As much as I like the Senate I wonder about the Radar Vapor. 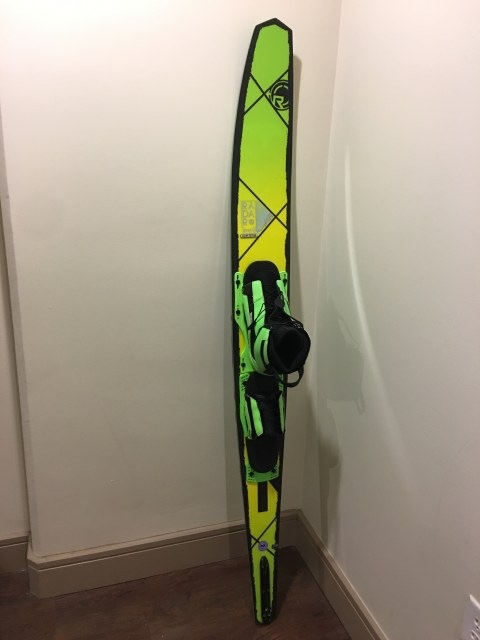 What other skis should I consider from other brands? I'm really interested in going to a ski school in October and try different demos. Any recommendations on where to go? 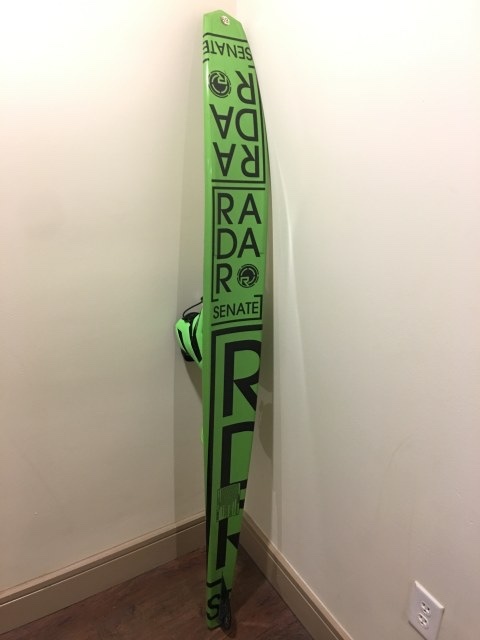 I'm sure others can help more, but I did last year buy the 2016 Radar Senate Alloy in two sizes, one for one of my girlfriend's children to ski when he's with me and the other more for me after I lose some weight (I haven't skied it yet). I think what I got is considered a hybrid between an open water ski and a course ski, about what I was looking for since we are doing the type of skiing you describe. They made changes from 2016 to 2017 that supposedly were improvements but the vent they put in for 2017 looks like a gimmick that just bugs me as a minimalist. I would take a look at the chart that is around that covers terrain, speed, ski size, and skier weight for their various models. Also, when I contacted Radar, they gave me the cell number of their R&D director. I was impressed they gave me this kind of access. He was happy to offer advice and told me to call back if I had further questions. He's a longtime industry person whose name escapes me at the moment, but they know, of course, and, as I recall, he posts on Ball of Spray as the resident Radar expert. I love my Senate Alloy. I got it used so it’s not new. Also 69”. I added a rear binding. I consulted this 2016 summary of Radar ski characteristics. I liked the way it showed things graphically. Not sure what has changed since 2016 and not sure where I got it. Maybe from Radar. Maybe from a retailer. Miss Rita, what ski are you on now... wondering what the huge difference was between your ski and the Radar. Slvr.....interior looks very nice for a 98' (I assume). Like the middle step, nice touch! Thank you, I appreciate it. I try to keep it clean as I can for a older boat that sees a lot of time on the water. Been riding a 69 Senate for 2 seasons now, still very happy.